This festive holiday wreath is easy to make and beautiful hanging on your wall or door. This FULL COLOR pdf download gives you instructions on how to crochet your very own. 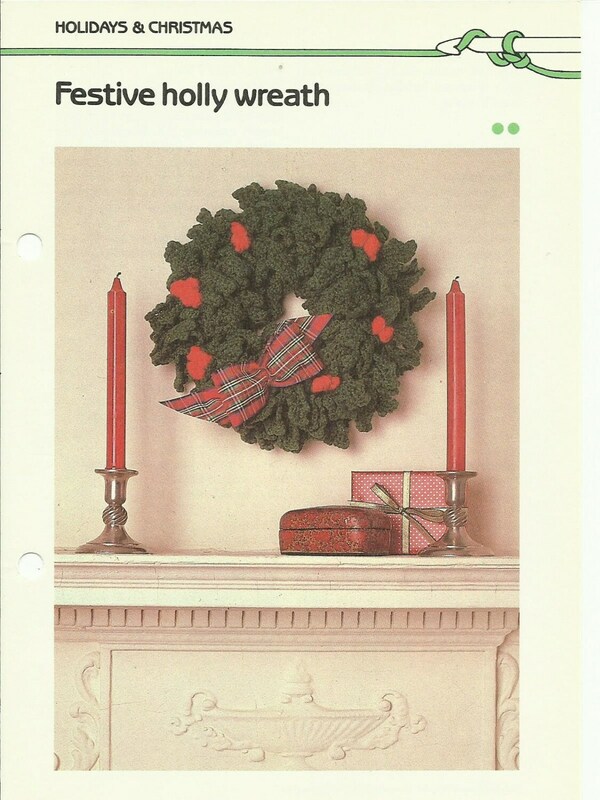 The pattern is from Golden's Quick and Easy Crochet (1985) and has been scanned and converted to a pdf. Your download arrives instantly to you as soon as you purchase. What a snap! Make this up for the holidays, you'll be glad you did.